Shakespeare is known to have acted in Jonson's plays Every Man in his Humor (1598) and Sejanus (1603). Many were the wit-combats betwixt him and Ben Jonson; which two I behold like a Spanish great galleon and an English man of war: Master Jonson (like the former) was built far higher in learning; solid, but slow in his performances. Shakespeare, with the English man of war, lesser in bulk, but lighter in sailing, could turn with all tides, tack about, and take advantage of all winds, by the quickness of his wit and invention. In Every Man in His Humor (1598) he introduced the "comedy of humors," each character being driven by a particular obsession. Other major satirical plays include Volpone (1606), The Alchemist (1610), and Bartholomew Fair (1614). In collaboration with Inigo Jones he produced many court masques. He also published two collections of poems and translations. 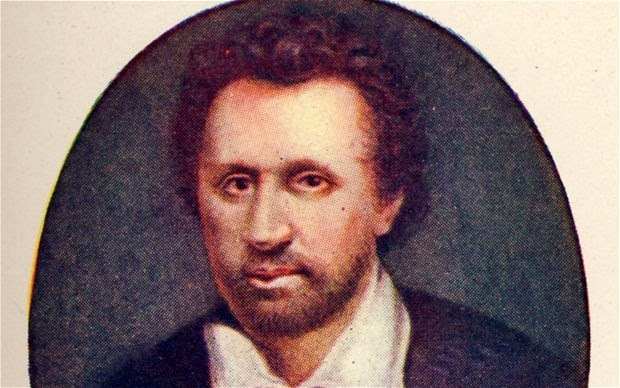 Ranked above Shakespeare in the 17th century, Jonson based his finest work on classical principles and influenced a number of younger poets known as "the Tribe of Ben." he is buried in Westminster Abbey. English politician and poet. A London barrister, he entered Parliament in 1558. He was a member of the Privy Council (1585) and conveyed the death sentence to Mary, Queen of Scots, in 1586. He later served on diplomatic missions to The Hague and served as lord high treasurer 1599-1608. He was also noted as the coauthor of The Tragedie of Gorboduc (1561), the earliest English drama in blank verse, and for his "Induction," the most famous part of the verse collection A Myrrour for Magistrates (1563).